It seems to me that we have been thrown into autumn this year. It is getting darker much earlier this October and the mornings are freezing, kind of like winter. Anyway, according to the calendar it is still autumn so I decided to show you some fall vignettes from around our house. Here is the only normal autumn vignette in our house. 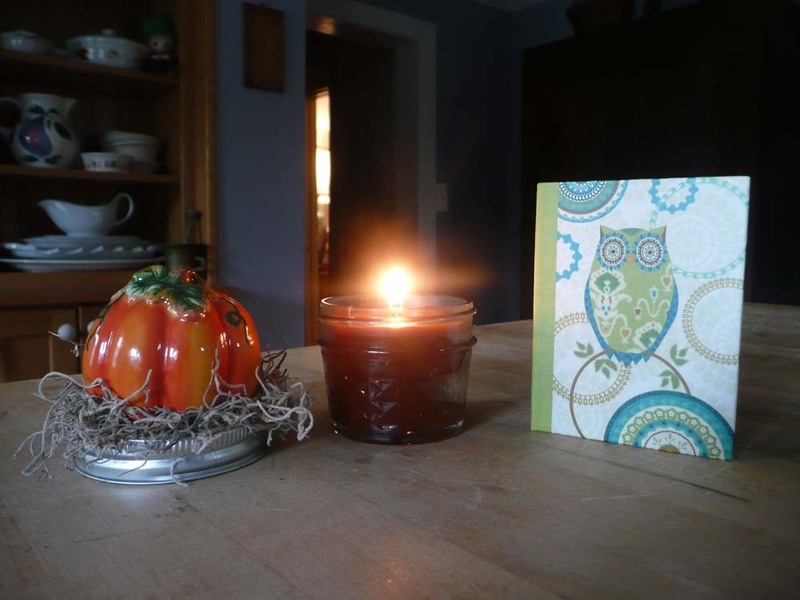 The candle has a nice fall spice scent and the little owl book houses a big stack of post-it notes. Both of these lovely gifts were from my dear sister-friend Judy. Thank you Judy! 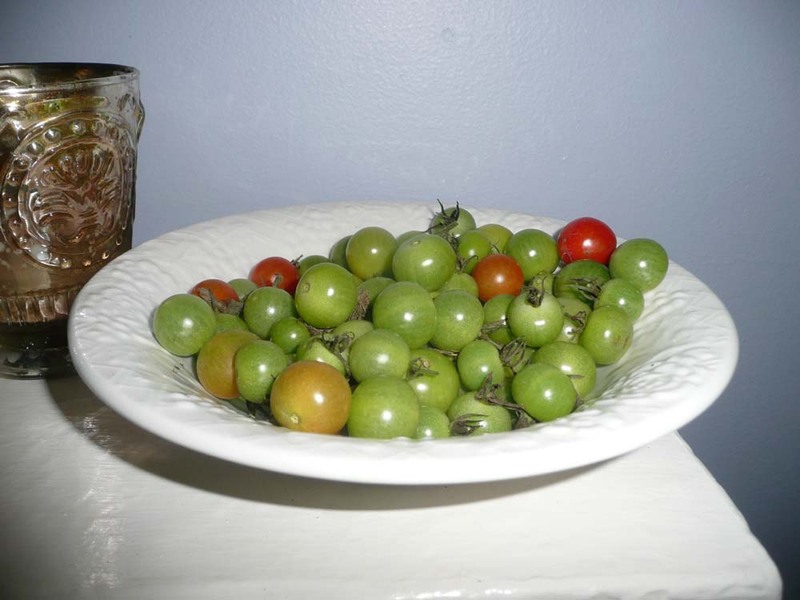 This is one of two bowls of green tomatoes Martin had to rescue from the garden due to the freezing nights. Here is a scary vignette. It is on the small table in my studio. 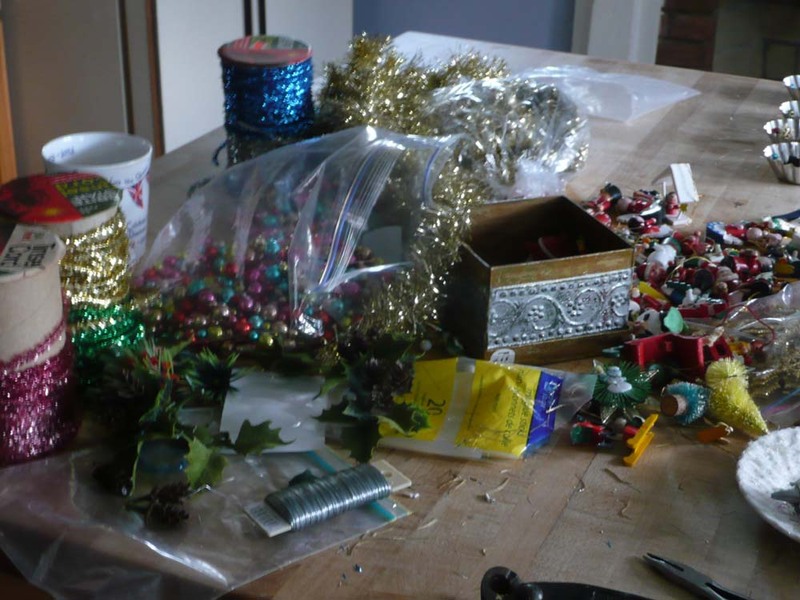 It’s a mix of finished, half-finished and not even close to being finished Christmas items. 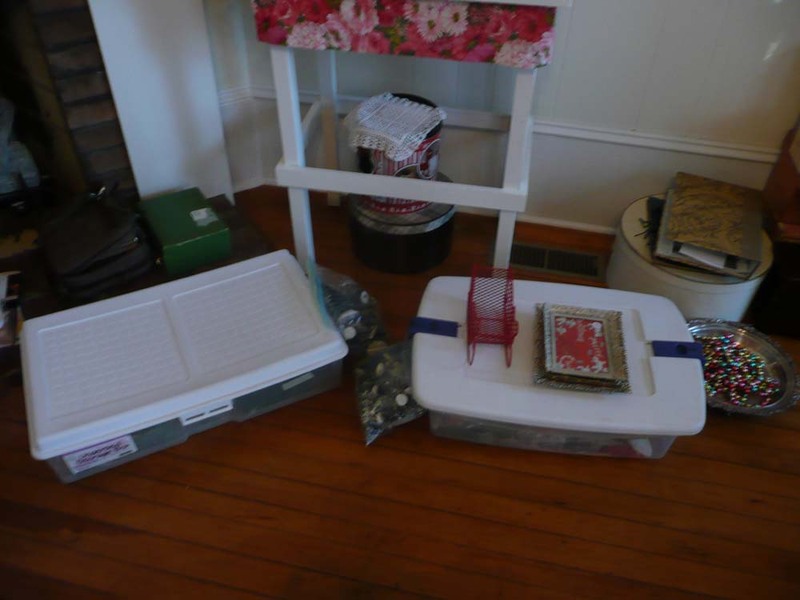 And below that table sits these two lovely plastic totes filled with Christmas crafting supplies. And as you can see, those items that don’t fit in the totes I have carefully just thrown on the totes or on the floor somewhere close to the totes. 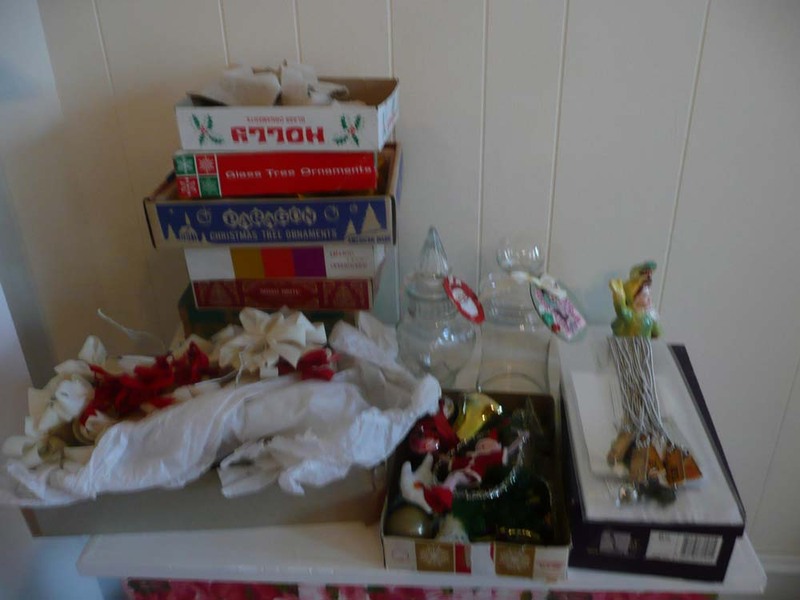 Even the elves in Santa’s workshop could not make a mess vignette like this. Really Helen? 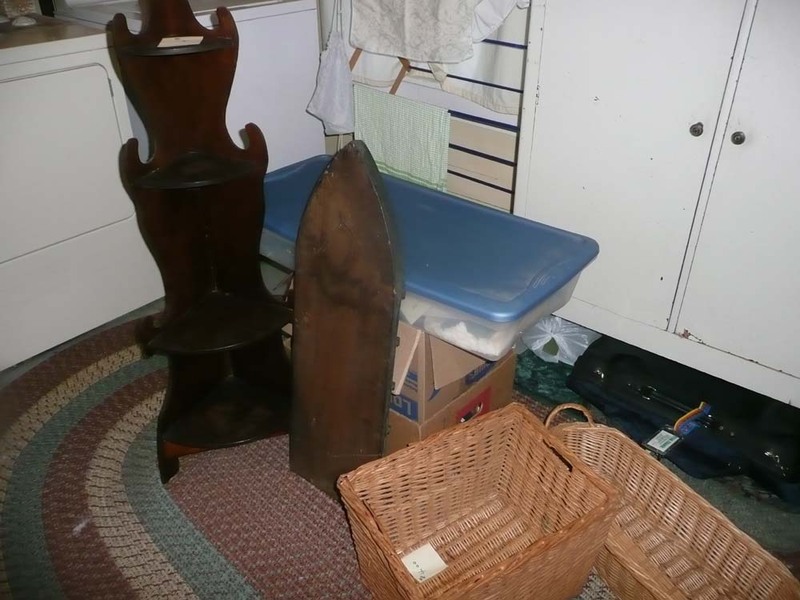 Here’s a little vignette in the laundry room of stuff I just purchased last week and am too lazy too busy to get to. I guess there is no way Better Homes and Gardens Magazine would want to do a Fall layout of our house. But I have a valid excuse. I have to stock my shop and have several Christmas shows all in November. This means lots of crafting, sorting, packing and messes. But for those of you who get to come to my shop and shows you will see it is all worth it. And last but not least, I am saving the best Autumn display for last. Drum roll please…….. YES! 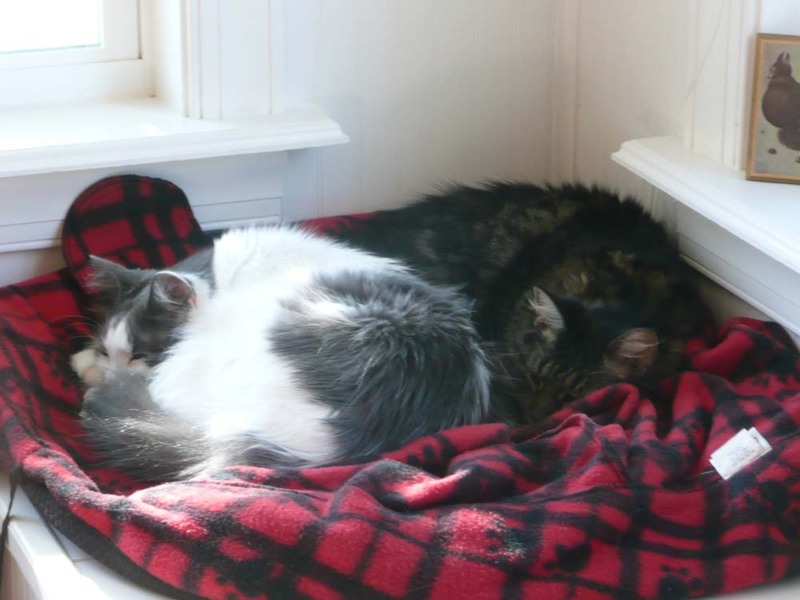 It is Holly and Louie snuggled up together to stay warm on a cold afternoon. This is the only vignette in our house that I cannot claim any responsibility for!